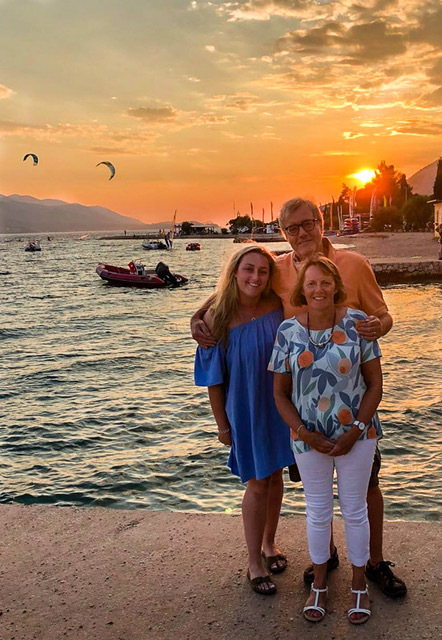 Sara Warby and her husband, Chris, fell in love with the Pelješac peninsula on a sailing holiday in 2003 and spent a good part of the next decade renovating a historic stone property. Sara explains some of the challenges, joys and responsibilities of owning an old stone property and integrating into a small community in Croatia, as well as the advantages of learning the Croatian language and properly understanding and experiencing Croatian culture. 1. Could you give us a little background as to what took you to Croatia in the first place, how you ended up on the Pelješac peninsula, how long you have been there, whether you are there “full-time” etc? 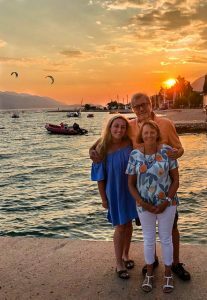 We first went to Croatia as a family in 2003, when we sailed from Dubrovnik to Korčula, stopping off at several islands en route. 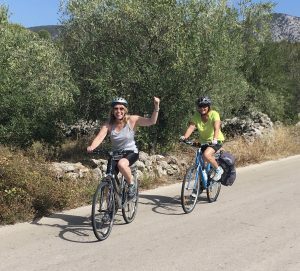 We loved the area around the Pelješac with its beautiful scenery and historic towns and villages. We looked at various properties and were keen to find a traditional stone house that needed renovation. 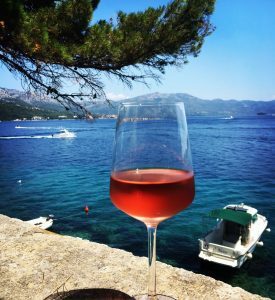 We fell in love with an old ship owner’s house in Viganj, on a hill overlooking the sea and Korčula island……..and the rest is history! 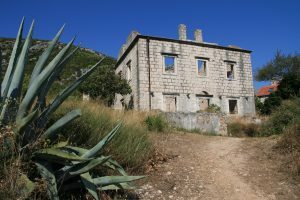 The house was built in 1850 by the Perčić family but had suffered in the earthquake of 1962, when the family was forced to move out and rebuild in the village. When we bought the house, it was literally the original four walls, with no roof or internal walls. We agreed with the Croatian Conservation Authority in Dubrovnik that we would restore the house exactly as it looked originally, based on a photograph from the 1950s given to us by the Perčić family. Nevertheless, it took us six years to get planning permission. Building work finally started in 2009 and we have been able to live in the house since the summer of 2010. Since then we have gradually planted up the garden and olive trees on terraces around the house. It has definitely been a project of the heart…not of the head!! We spend four to five months a year in Viganj, with friends and family visiting throughout the year. We particularly like visiting in Spring and Autumn when we do a lot of walking, canoeing, swimming and cycling. 2. What do you consider to be the five best things about the Pelješac peninsula? a) the clean air and crystal clear waters of the Adriatic. 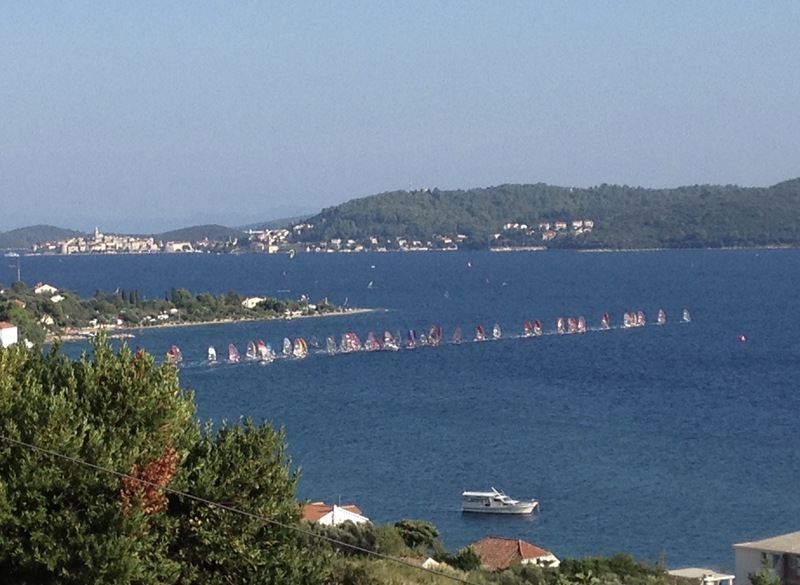 b) stunning views, historic villages, beautiful coves and beaches. 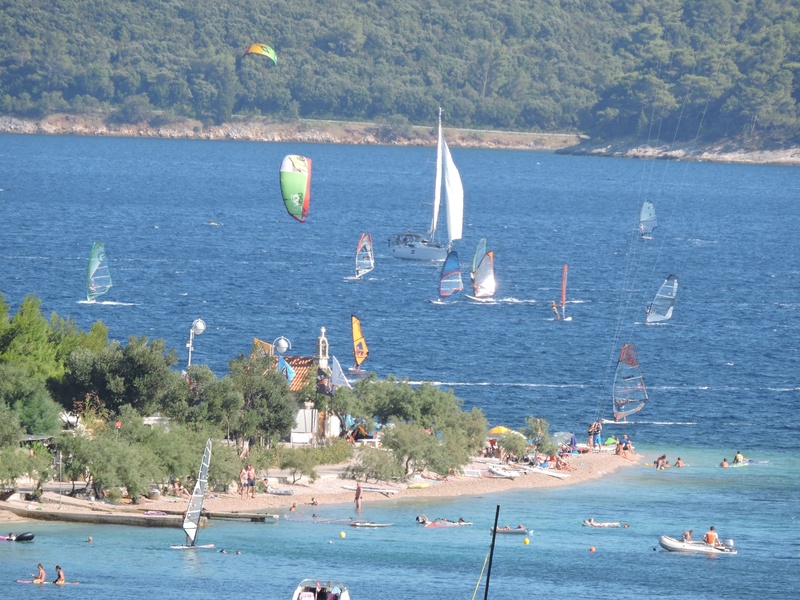 c) the multiple activities available – watersports, especially windsurfing and kite surfing, cycling, walking and, of course…….wine tasting – Pelješac has a great history of wine making and many of the vineyards have been producing excellent wine for centuries. 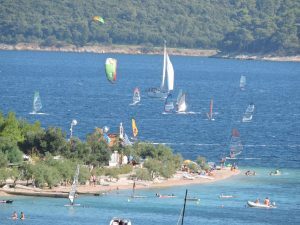 d) it has very good links via catamaran to Split and Dubrovnik if you want to enjoy the city culture. e) it has a very friendly, relaxed, family-orientated atmosphere. 3. At what stage did you decide it would be a good idea to learn the Croatian language properly and how did you go about finding a Croatian teacher? I first decided to learn Croatia in 2004, just after we bought the house. At that time, a lot of our neighbours did not speak English so it was important for us to be able to communicate with them so we could participate in village life. It was also important for us to communicate with the builders who were renovating our house. Both Chris and I speak Spanish, German and French and were very keen to learn Croatian. I tried to find a teacher locally in Croatia, without success. I searched the internet to find UK teachers and found the Croatian Language School. 4. Could you tell us how long you have been studying Croatian with the Croatian Language School [CLS], the format of your lessons/courses/studies, and how you would describe your current level of proficiency? 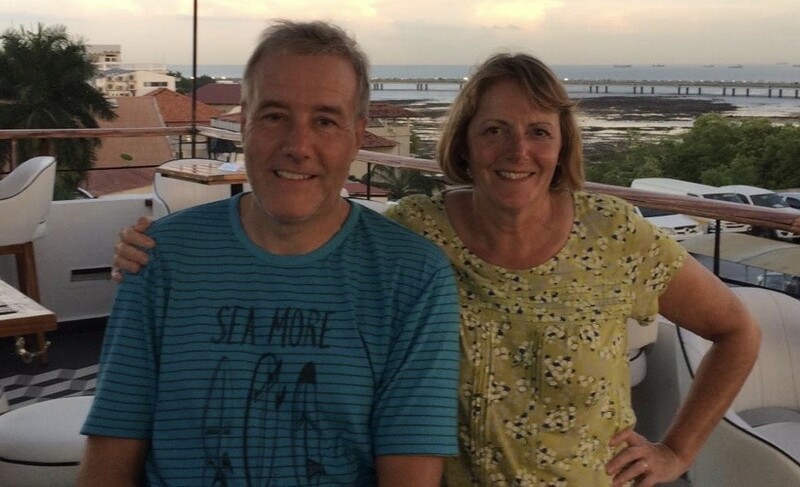 I first studied with CLS in 2004 when I took a course of 10 one-to-one lessons with Linda, at the school in London. I then spent the following 10 years trying to learn on my own with some success but a lot of frustration. In 2014 the Croatian Language Summer School trip was held in our nearby town of Orebić, so Chris and I decided to attend. That course was great as it reinvigorated our desire to learn Croatian. Over the past four years, Chris and I have had further Skype lessons with Linda and attended three more of the Summer Language and Culture Courses in various parts of Croatia. The Skype lessons suit us very well as we can take the lessons whenever and wherever we are working. We also try to practice speaking Croatian as much as possible. We have found Croatian much harder to learn than other languages but now feel we are able to hold a conversation with locals and, most importantly, make a joke and have a laugh with them… humour is very important in breaking down cultural barriers. Also, Croatians really appreciate the fact that we are making the effort to speak their language. 5. What have you enjoyed/do you enjoy most about your Croatian Language studies? a) greeting my Croatian neighbours and friends with “Imam novu hrvatsku frazu/riječ za vježbati s vama” (I have a new Croatian phrase/word to practice with you). b) the Summer Culture and Language Trips in Croatia have provided opportunities to immerse ourselves in the fascinating history and culture of Croatia. c) we have made many new friends on the Summer School trips and it is nice to be able to help one another out with practical help, especially navigating some of the Croatian property/building regulations. Croatian grammar is very complicated…..it can feel as if you are banging your head against a brick wall especially when you ask why something is constructed in a certain way and the answer is “because that’s the way it is!!!!!”. It is much more difficult to get a basic conversation going at a similar level of competence in Croatian, than in, say, French or Spanish. 7. Are there any tips you could pass on as to how best to “practice” or “study” in between lessons? a) insist on speaking Croatian whenever you can… especially if people reply in English. Most of our younger neighbours now speak very good English so you really have to persist in speaking Croatian to them. When Croatians smile at your attempts at their language, take it as a good sign – you are making them happy! We especially enjoy spending time in Viganj with Croatian friends outside the main holiday season as they have more time to sit and chat with us in Croatian. b) each week, make a list of 10 to 15 words and one or two phrases that you feel you really should know….I put mine on my phone…… and then look at them as often as possible until you learn them. c) try to read a Croatian news website or blog at least once a week. d) don’t be deterred – Croatians really appreciate it when you speak to them in their native language – we have made many new friends just by trying to communicate to local people in Croatian. 8. Could you tell us a little about the challenges and rewards that come along with owning an old property in a foreign country please, and if your language studies have helped? We were determined to restore the house exactly as it was originally built. The Perčić family were very helpful in providing us with the photo of the house from before the earthquake. 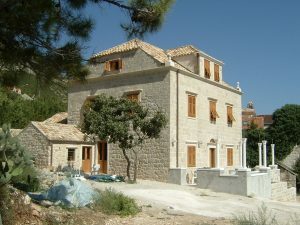 They also went down memory lane to describe how the house was designed and configured internally and externally, including details such as the layout of the original stone seating around the terrace, the number of fanlights above the front door and the Dubrovnik-style shutters with vertically tilting openings, which allow greater airflow in the summer. In order to comply with conservation regulations, we researched old methods of building stone walls and stone masonry which was really exciting. Fortunately our Croatian builders were experts in renovating historic buildings and they were wonderful in taking us to see historic buildings in Dubrovnik and Korčula so we could understand the materials and methods used. We also spent huge amounts of time looking at local buildings to ensure we were maintaining the local traditional methods and look. The workmen were real craftsmen and wanted to bring the building back to life for us… we felt they were very committed and very professional…always seeking out ways to preserve original features of the house rather than replacing them. We were able to communicate with the building project managers in English and German, but really felt the need to talk Croatian with the other workmen who spoke little English. We learnt many words in Croatian for specific materials and building procedures that we do not even know the English for! 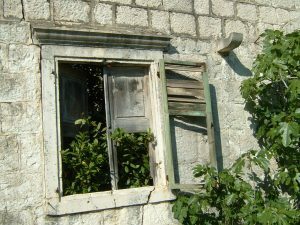 We quickly learnt Croatian building phrases such as “Kada ćemo imati krov i prozore” (when will we have a roof and windows? ), “Vapnena žbuka je pogrešne boje” (the lime mortar is the wrong colour)”, “Kanalizacijske cijevi moraju ići ispod terase do septičke jame” (The sewage pipes need to run under the terrace to the septic tank) …….. and the different Croatian/Dalmatian words for shutters; unutarnje škure (internal, solid shutters), persijane sa sportelinim (external opening shutters), vrata sa škurama i sportelinom (doors with internal shutters and external, opening shutters). We never imagined there could be so many different styles of shutters. We had lots of fun with various Croatian workmen communicating with a mixture of Croatian, German, sign language and pencil diagrams. 9. 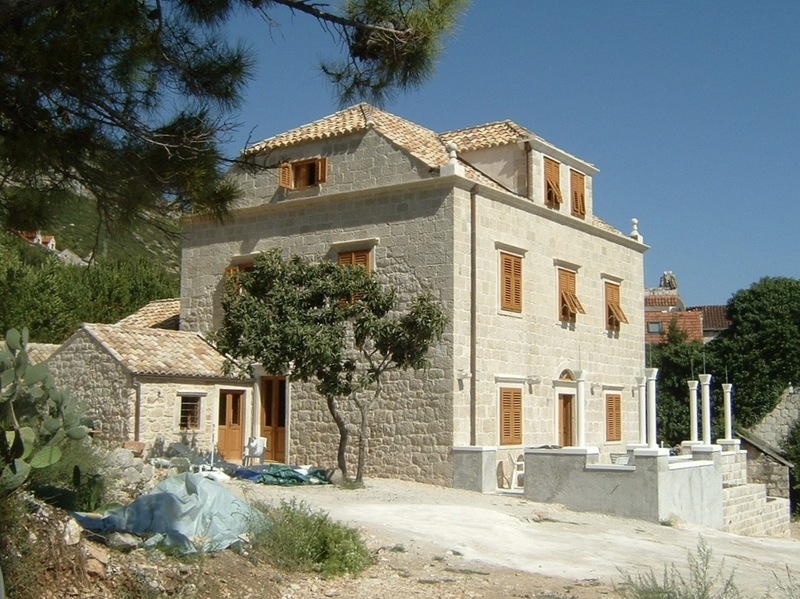 What would be your top five tips for someone thinking of buying a house in Croatia and moving there permanently? a) be patient – expect all the legal and official bureaucracy to take a lot longer than you think. b) embrace the local culture and learn about the history of the area. c) if you buy an old property, endeavour to renovate it to its original state to preserve the history and culture of the area. e) contribute to the community – maybe help in the local school, attend local events, help raise money for local bodies such as the fire service, or help with the olive or grape harvest. 10. What are your plans in terms of continuing in Croatia and with your language studies? 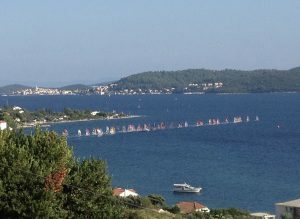 We are planning to spend more time in Croatia going forwards. Our house in Croatia is now part of our family tradition – our families, relations and friends all come to visit every year and we hope that that will continue on through the next generations. This year I am hoping to research the history of our small hamlet in Croatia, with the aim of publishing a brief guide. I am also looking forward to the Summer School in Osijek and surprising my neighbours with some new Croatian phrases.